The 2012 Season at award-winning North Shore Music Theatre in Beverly will include a series of popular musicals, celebrity concerts and entertaining children’s shows. 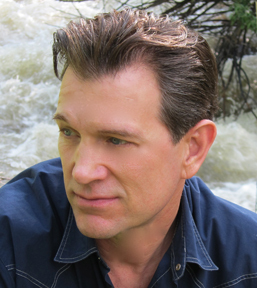 Tickets forboth subscription packages and individual shows are on sale now. 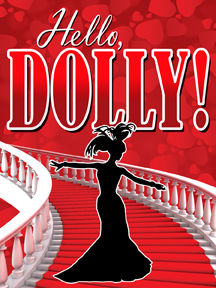 The 2012 Musical Season starts with the classic musical comedy, "Hello, Dolly!" 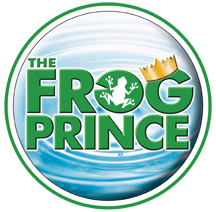 from June 12 – 24. Directed by Charles Repole and choreographed by Michael Lichtefeld, the musical tells the story of matchmaker Dolly Gallagher Levi (to be played by Broadway veteran and Lynnfield native Jacqueline Piro Donovan, replacing the previously announced Lorna Luft who's had to pull out due to a back injury), hired to arrange a marriage for the miserly Yonkers half-a-millionaire, Horace Vandergelder (Tony Award-Winner Gary Beach). With a book by Michael Stewart and music and lyrics by legendary composer Jerry Herman, "Hello, Dolly!" is filled with timeless showtunes ranging from "Put On Your Sunday Clothes" to "It Only Takes A Moment," "Before The Parade Passes By" and the iconic title number. The summer continues with one of Broadway's best-loved family musicals, "Annie," playing July 17 - 29. Directed by James Brennan, choreographed by Elliot Norton Award-Winner Patti Colombo, and based on the characters in the Harold Gray comic strip "Little Orphan Annie," the Tony Award-winning musical follows the spunky story of a Depression-Era orphan determined to find the parents who abandoned her years ago on the doorstep of a New York City orphanage. 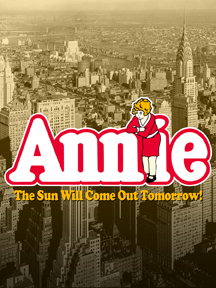 In her fun-filled adventures, Annie befriends the President, deals with the antics of the scheming Miss Hannigan, and finds that a new family with billionaire Oliver Warbucks is "only a day away." Featuring a book by Thomas Meehan, music by Charles Strouse, and lyrics by Martin Charnin, "Annie" originally opened on Broadway in 1977 and delighted audiences for the next six years. From August 14 - 26, the rollicking musical "All Shook Up" will end the summer on a Blue Suede high note. Starring Joyce DeWitt (star of TV's "Three's Company") and featuring the top hits of Elvis Presley, "All Shook Up" is the romantic but funny tale of a guitar-playing roustabout who rides into a struggling town and turns it upside-down. Directed by Russell Garrett and choreographed by Kiesha Lalama, "All Shook Up" is written by Joe DiPietro, author of the hit Broadway musical "Memphis." 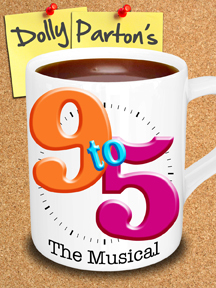 The fall begins with Dolly Parton's "9 To 5: The Musical," playing from September 25 – October 7. Based on the hit 1980 movie of the same name, the production features Dolly Parton’s original hit title song along with her all-new Tony Award and Grammy-nominated score. As longtime fans know, "9 To 5" tells the story of three unlikely friends who conspire to take control of their company and learn there’s nothing they can’t do -- even in a man's world. Written by Patricia Resnick, co-writer of the original screenplay, this story of friendship and revenge in the Rolodex era is will be directed and choreographed by Richard Stafford and star NSMT audience favorite George Dvorsky as Mr. Hart, the sexist, egotistical, lying, hypocritical bigot who terrorizes all who cross his duplicitous path. 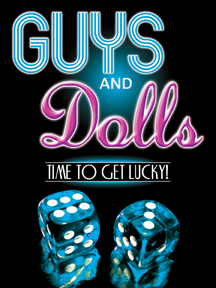 The 2012 Musical Subscription series will end with "Guys & Dolls" from October 30 – November 11. Directed by Mark Martino and choreographed by Michael Lichtefeld, "Guys & Dolls" revolves around an array of colorful Damon Runyon characters including: slick, high-rolling Sky Masterson; the upright but uptight "mission doll," Sarah Brown; Miss Adelaide, the chronically ill nightclub performer; and not-so-slick chronic gambler, Nathan Detroit. Featuring a book by Jo Swerling and Abe Burrows with music and lyrics by Frank Loesser, "Guys & Dolls" soars with the spirit of Broadway. Following the 5 show subscription series, NSMT will complete the year with the theater's time honored production of "A Christmas Carol," running from December 7 - December 23 and starring Massachusetts’ longest consecutively running Scrooge, David Coffee. For tickets and information, stop by the NSMT Box Office at 62 Dunham Road in Beverly, call 978-232-7200 or visit www.nsmt.org.